Mr. Brenna further explained that beginning in 1999, the government decided that the Argentine legal system was opaque and it was very difficult to access the law; the people did not know the law and didn’t know how to access the law. This was the ethical basis for the intervention — to make Argentine law more known, more accessible, and more human. Argentina has about 27,000 laws on the books, many pertaining to regulating government offices and other obscure and inconsequential regulation, but which makes it very difficult for anyone to find anything. What person could be expected to know 27,000 laws? As a result of compiling the digest, we’ve gone from 27,000 laws to really only 3,353 laws, or about 10% of what we actually have. Of these, over 1600 are international treaties, which leaves only about 1600 national laws. This is much more manageable. The Digest is the work of many people — over 120 professors within the Universidad de Buenos Aires alone have reviewed the work, and probably over 300 professionals altogether. Our next speaker, Daniel Almakr, further explained that Argentina has been passing laws over laws without withdrawing old laws such that there has been a “contamination of laws” and the volume of laws has gotten unmanageable. 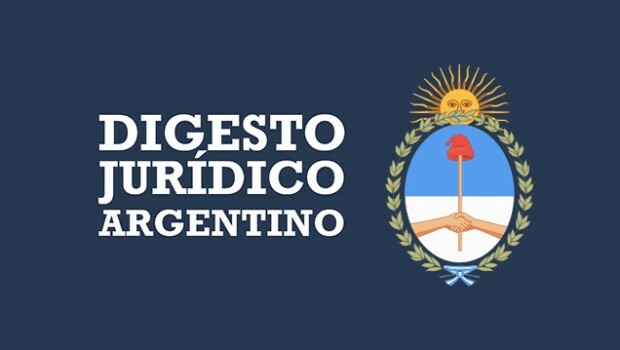 Ley 94,667 mandates the State to ensure that the people have access to the laws in force in Argentina and that it is organized for easy access. Our guests worked with the three major publishers as well: Jurisprudencia, La Ley, and El Derecho. The methodology was in two major stages: normative and documental. Teams of lawyers trained in the analysis of laws, reviewed the national gazettes from 1983 to 2005, and looked back to 1853. They detected and identified laws that had not been contaminated and others that had been abrogated and contaminated. This first review of laws, decrees and resolutions were also examined to see which had been contaminated and others that hadn’t been. They were entered into a database which became huge when they included all the 140,000 laws, decrees, and resolutions. Fully 48,000 laws remained after the first analysis. The first organizational step was to create a basic thematic index into which every law was inserted by using key words created after significant analysis. The creators attempted to use language that regular citizens would use. The first stage, then, ended with a huge database of all laws organized by theme and with a cross-analysis of what affected what laws. There were about 1300 national laws in force organized thematically and 1600 international treaties. Our speakers also worked on the projects of other provinces to organize the law of social security and other government ministries in the national government. When finished, there were only 298 resolutions. Our guests answered, “The analysis includes all the codes. Still, the Codes have incorporated it’s norms and changes over the years, including the recodification of them. The Commercial Code had special treatment because it’s so large. The effect of Sentences of the Supreme Court of the Argentine Nation are similar to in the U.S. in that the Argentine Supreme Court is a primary power of the country and acts as a constitutional court. Argentina does not have an independent Constitutional Court. Rather, the Supreme Court diffuses its decisions to other courts. The Supreme Court is not the only decider of cases, but it is the ultimate decider. This system has proven to be problematic in a republican government. The pronouncement of a sentences is the way that judges interpret the laws that are passed and therefore have a huge influence on democracy. The question is what is the effect the decisions have on the people? The publicity and publication of the sentence form part of the democratic process. A Supreme Court decision must be published within 24 – 48 hours for all to access. In the past, there was a huge delay in publishing cases because the Court was pronouncing 250 – 500 cases per week (not including cases were cert was denied). The Court was deciding over 9000 cases per year! Our speaker then asked herself, “what is best for the citizen? Full-text or summaries/abstracts?” They have created a database and search where the result is a series of items that are aggregated. The database they’ve created certainly competes with the vendors, but it is free. Our speaker noted that this type of job on this grand scale required resources that aren’t available at the universities in Argentina. Thus, our last morning was filled with insights into the function and organization of Argentine legislation and jurisprudence, and how we might find and utilize both.